The well-established brand was seeking more growth and value to a larger consumer base. The original logo and product label designs were well done, however did not have the impact required to hit this target. 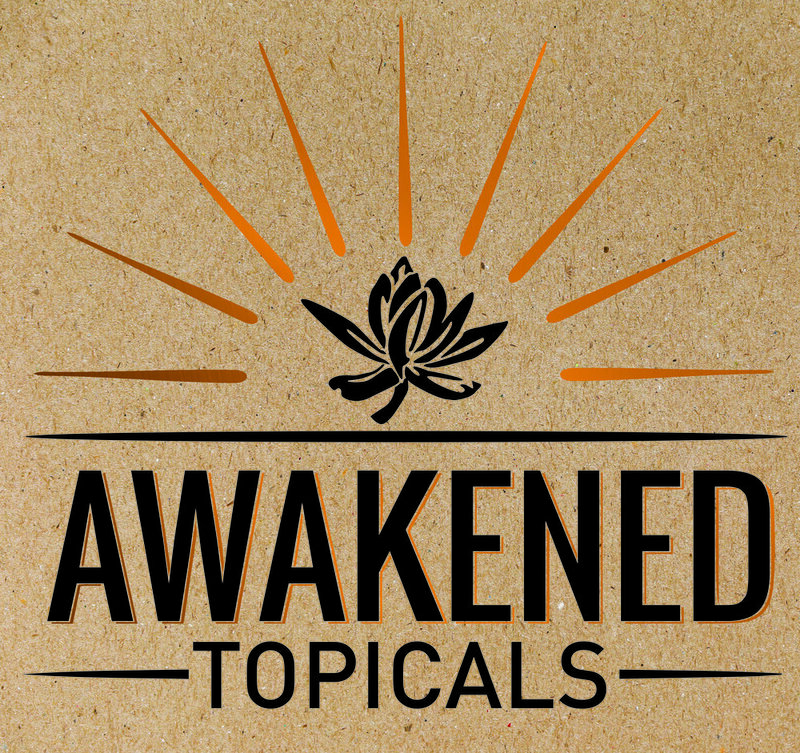 Budd Branding was quickly brought on-board, to energize and ignite the logo and label redesign for the line of Awakened Topicals. The evolution of the logo includes an eye popping font, catching consumer attention. The flower and sun rays are stylish and unique. Our goal was to create a balance in the logo. Shapes and sizes of sun ray graphics were created and presented in various proportions to the bud rendering. The male bud was explored as a graphic vs. an illustration. Various font options were explored as shown on the following page. 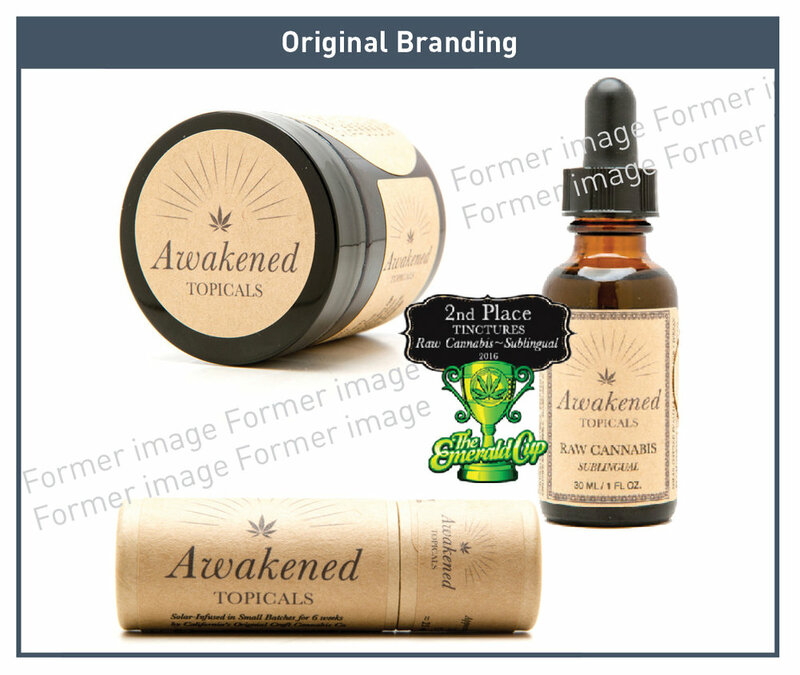 The delivery of logo and label redesigns exceeded client expectations. The new brand identity will soon be gaining attention on the shelves of California vending outlets. The impact on sales will be reported in a follow up study found on buddbranding.com. It was important to maintain the overall feel of the existing brand, as this established brand has recognized presence in the marketplace. A variety of designs were presented with font options explored. Various styles of the male flower were developed as shown. Sun rays were illustrated in thick and thin options and lengths. With an established image in place, the new logo design was applied to the labels. Required warnings and ingredients are included in a clean easy to read format. This California brand boasts an eco-friendly image represented by recycled paper. A plumb color is introduced as the secondary color, andnatural tones are carried across marketing materials. The product is easily identified by both the customer familiar with the brand, and new shoppers looking for a quality product.